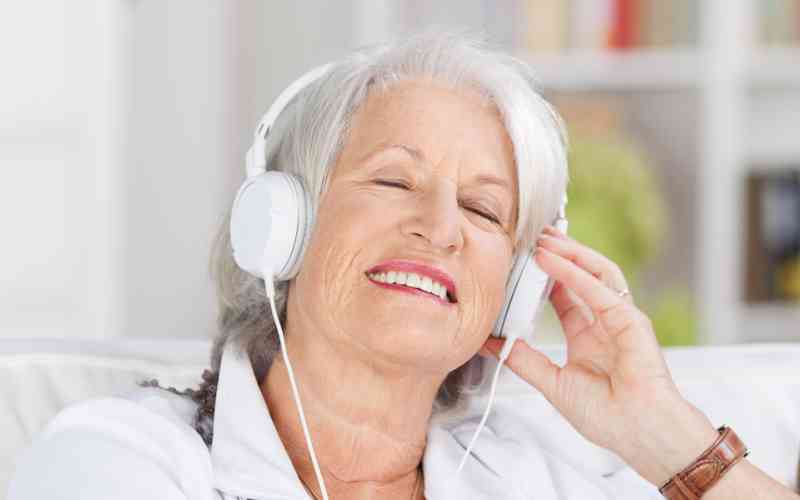 Music can help bring back memories, or be a part of making new ones. It can alleviate boredom, dispel “the blues”, and keep you motivated to exercise, dance, or be more creative. Whether you love listening to smooth jazz, crave or the twangy sounds of country and western, or long for tunes from “back in the day”, it’s now easier than ever to find music that you love and create personal playlists that will keep you moving. Here are some tips for finding great music and building a collection. Ask someone younger what they listen to. Ask friends or relatives to name their favorites bands or artists. Make a note of the performers or titles of songs that appeal to you while listening to the radio. Once you’ve discovered some musical styles or artists that you like, you’re ready to build your music collection. Although most music today is sold in a digital format, believe it or not, record albums are making a comeback. Go to your local music store or bookstore and you’re guaranteed to see a robust selection of record albums. With a distinct sound and a dose of nostalgia, records can be a fun way to embrace your memories. Thrift stores and garage sales are also good options for finding albums. With the emergence of digital music as the most popular method for tuning in, CDs and concert DVDs are often an inexpensive option. Grab a shelf-top CD player and create a new CD collection. Check secondhand stores and used book and music stores to find interesting CDs. Or, see if your local library has concert DVDs available for lending. One of Amazon’s latest ventures is Amazon Music Unlimited, a service that offers unlimited access to music for a low monthly rate. This service is easy to use and promises “any song, any time”. You can listen to Amazon Music online or download the app on a mobile phone or tablet to tune in. Additionally, if you happen to have an Amazon Prime membership, you’ll find many free music options with this service. Pandora, another music streaming service, allows you to create “channels” around the artists and music that you love. For example, if you listen to the Billy Joel channel, Pandora will play music by Billy Joel as well as other musicians who are considered similar. You can also search for and listen to specific music genres, such as “Rock and Roll”. The service is free to use, but there’s also a commercial-free version available for a low monthly fee. As with Amazon Music, you can listen to Pandora on your computer or download an app to listen on mobile devices. Another handy music service, Spotify, is similar to Pandora but allows you to make customized play lists of the music you like best. You can search and find just about any song ever performed and add it to your playlist. Simply hit “New Playlist” and start searching for your favorite songs. This opens up all kinds of possibilities to build your personal collection, and you could create individual playlists for different genres or activities (for example, a playlist just for exercising). Simply tune in online or download the app to get started. Whatever your tastes, music can be a way to extract more joy in your life, get your body moving, and explore new creative feelings. Sharing music with friends and family can be a fun way to help make memories too. Music is a backdrop to so much at Daylesford Crossing; whether it’s the live entertainment at our Wednesday dance parties, the performer leading our drumming sessions, or just the playlist at our nightly happy hour, our lifestyle has a soundtrack. To learn more, Contact us to schedule a tour.